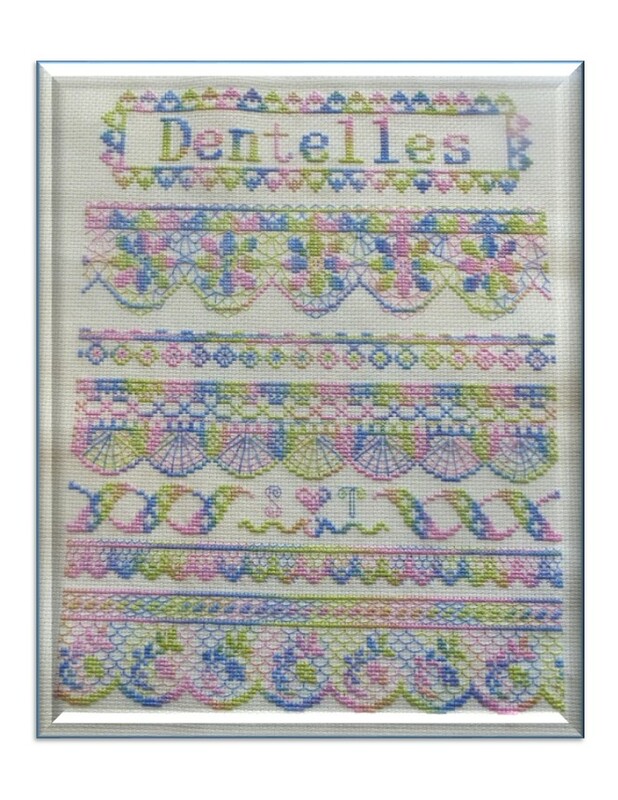 A simple blackwork stitch turned the seventh band of our Sal Dentelles sampler into a delicate lacy filigree. I think this is my favorite part of the sampler 🙂 But there are two more bands to stitch, so I have time to change my mind! You can see a gallery of the other works in progress, at Brodeuse Bressane’s Blogspot. Beautiful colors, it makes the stitches more pretty. Wow! It’s so delicate and beautiful! I LOVE this !!! It’s gorgeous .